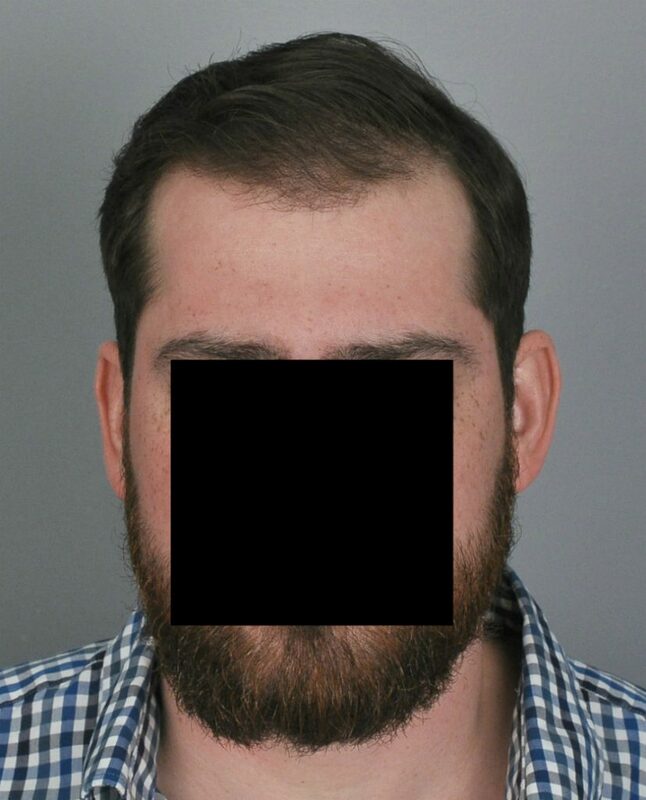 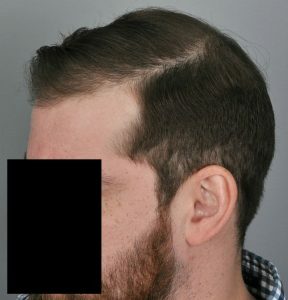 This young man is in his late 20’s and has evolving type VI baldness. 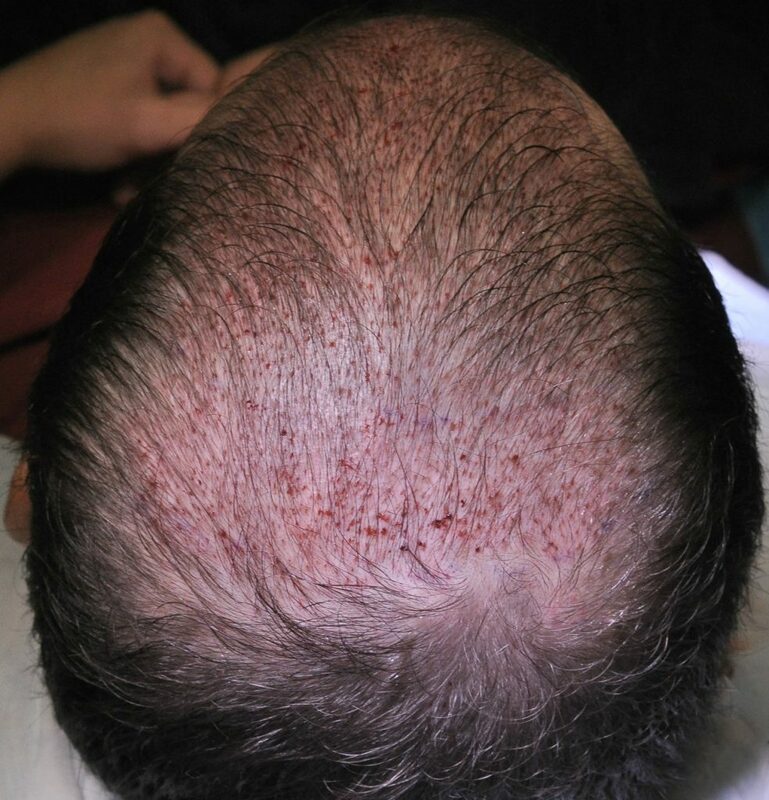 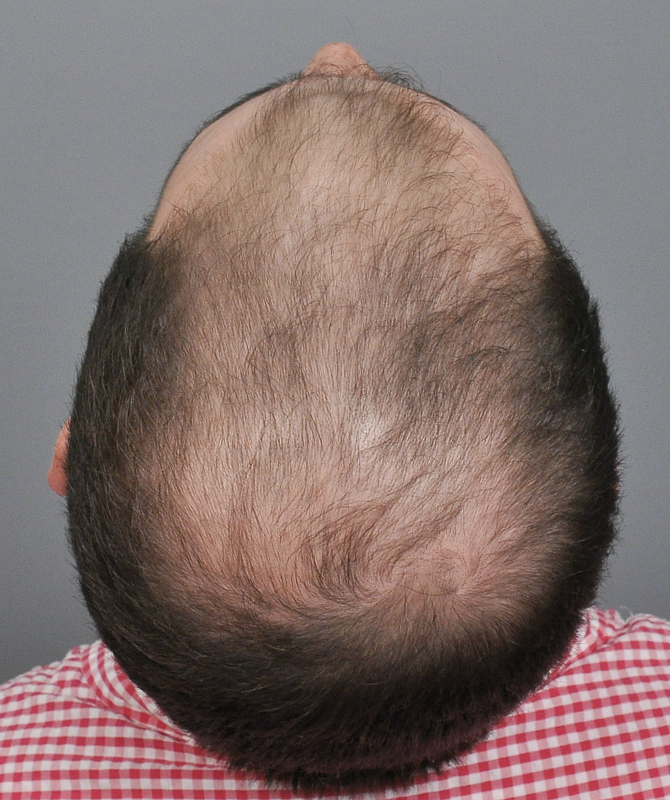 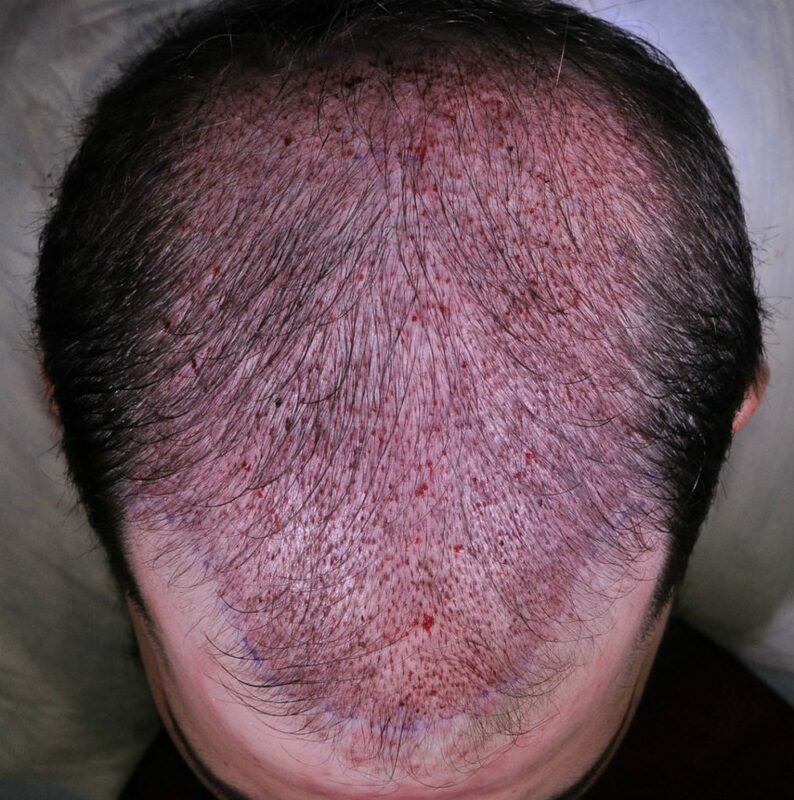 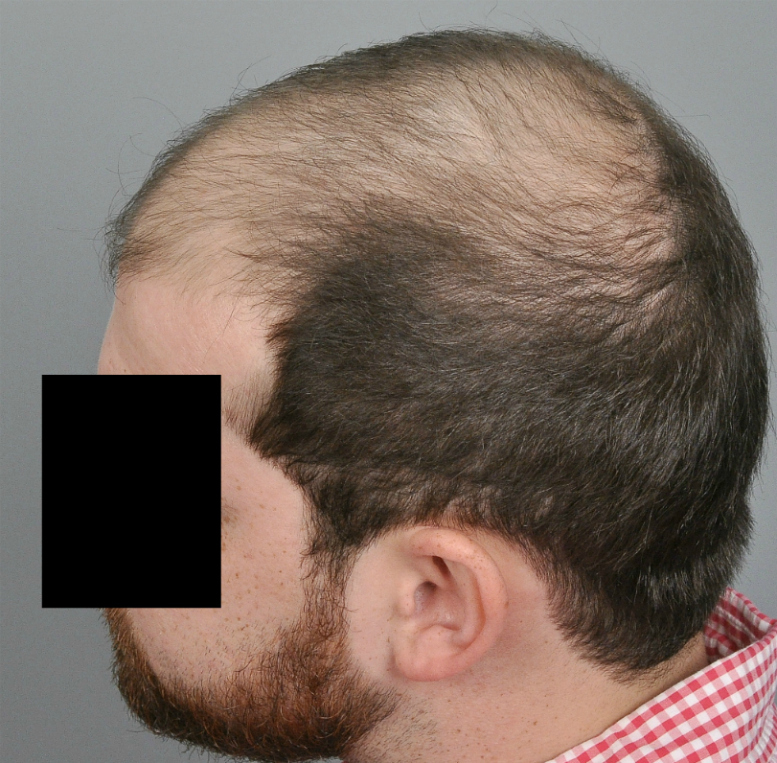 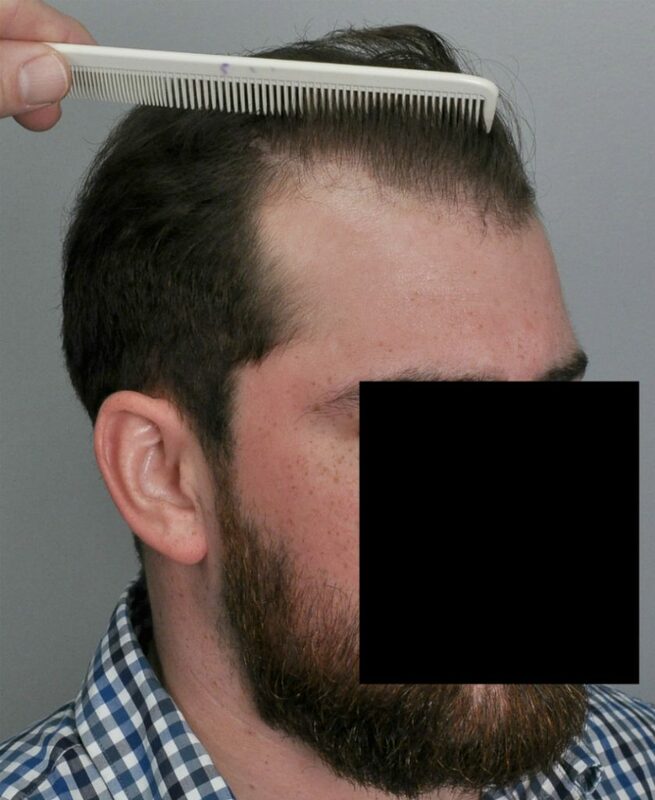 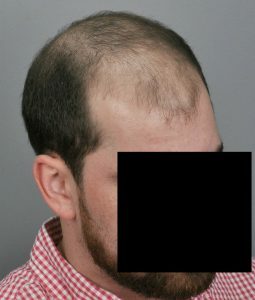 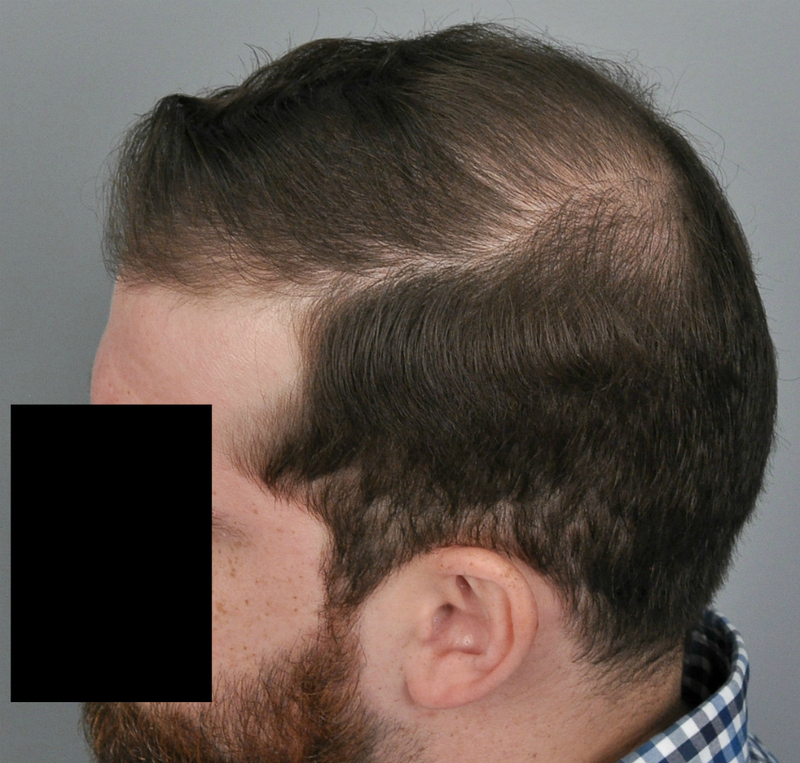 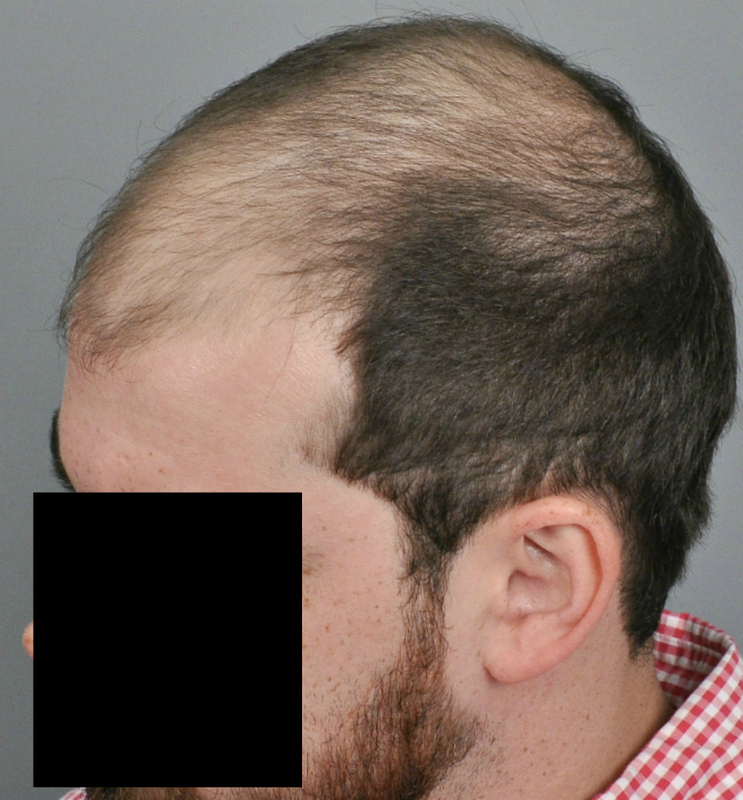 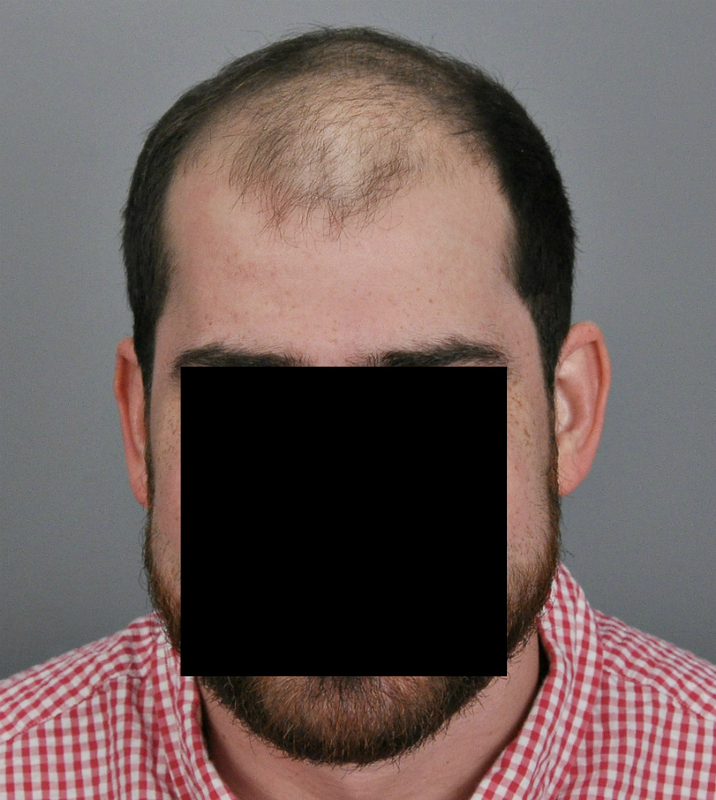 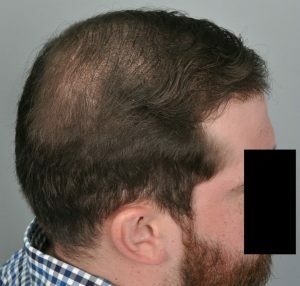 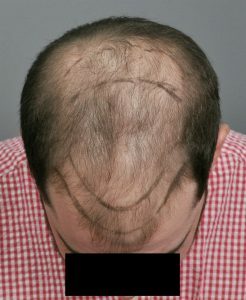 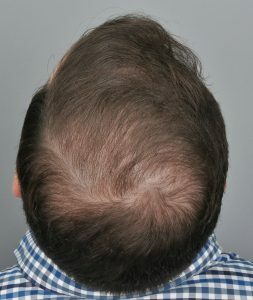 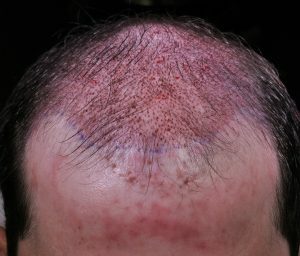 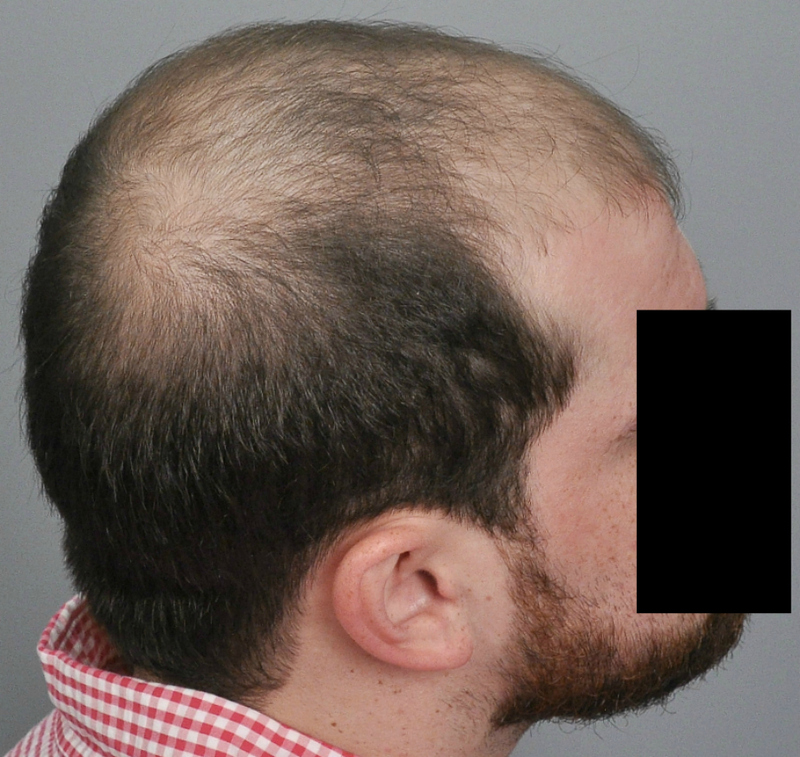 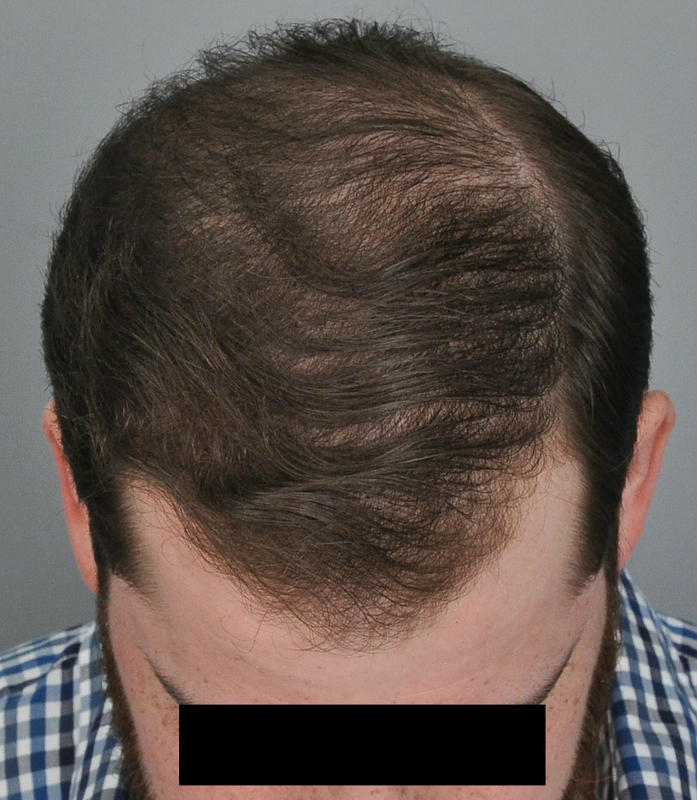 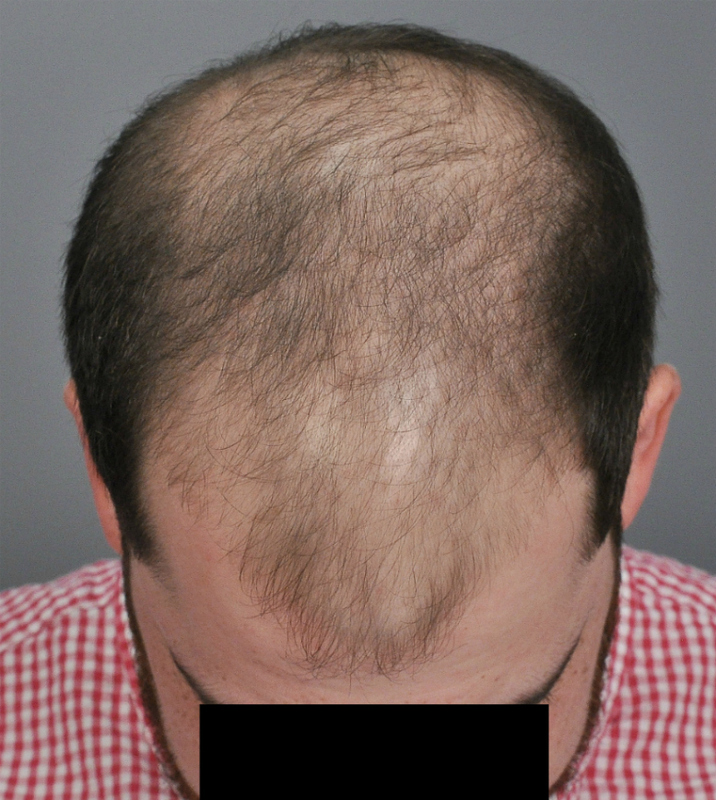 We started him on finasteride and performed FUSS 3,500 grafts with PRP/ACell. He represented an aesthetic challenge in that he had remaining miniaturized hairs all the way to his teenage hairline, 4cm above his eyebrows. 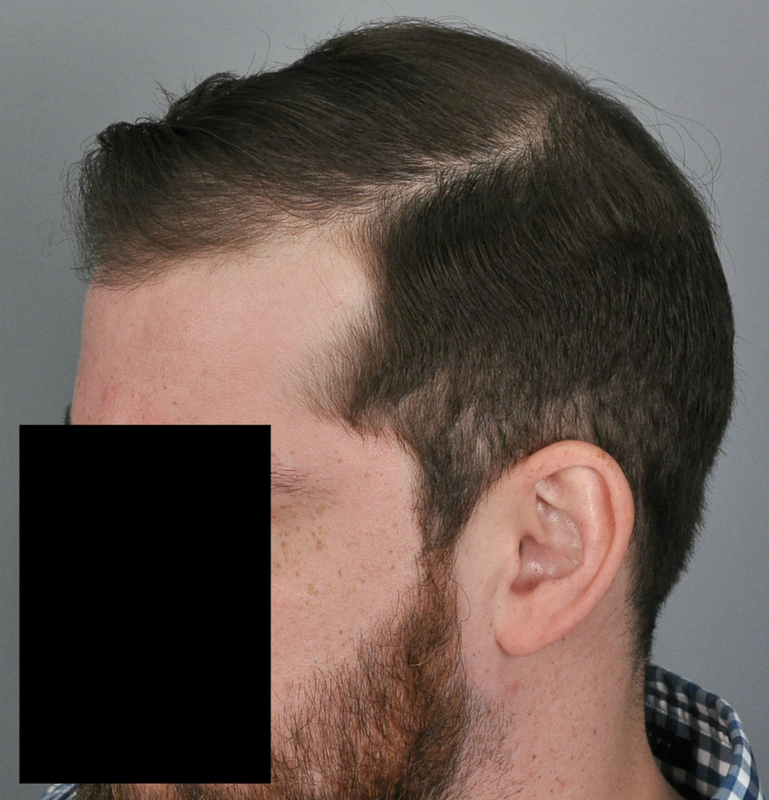 This would have been much too low to build a new hairline around. 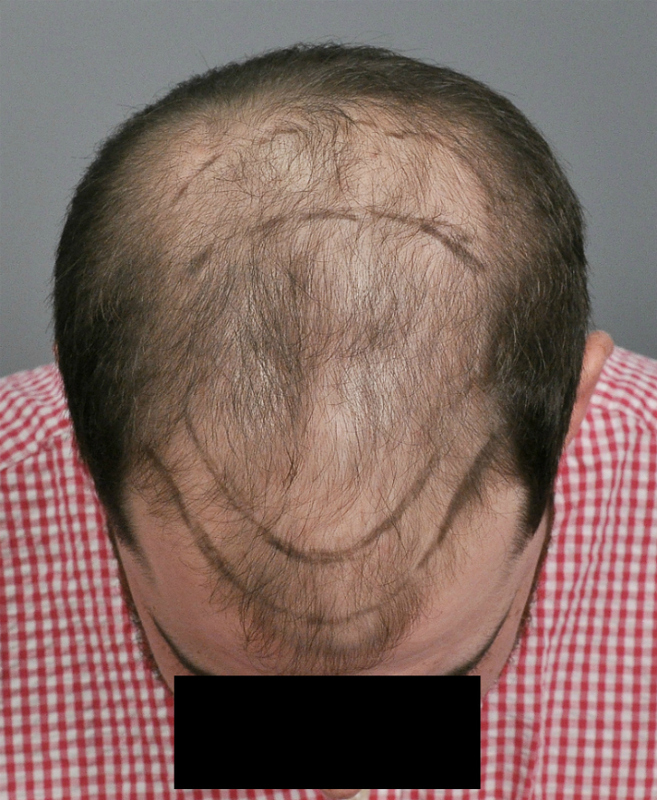 We removed a 2-3 cm band of these thinning hairs using electrolysis. The hairline we built contained a larger zone of lower density single hairs, so as to avoid creating a ‘front heavy’ look. 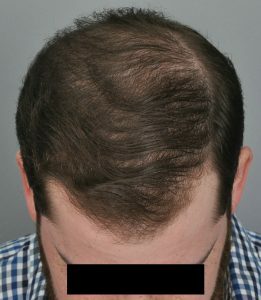 The majority of the density was in the mid-scalp. The crown was given a light ‘dusting’ of two hair grafts and the PRP treatment helped blend everything together. 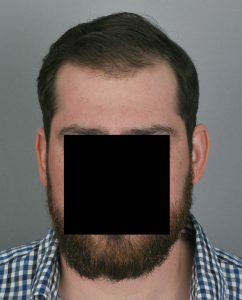 He is shown one year later.